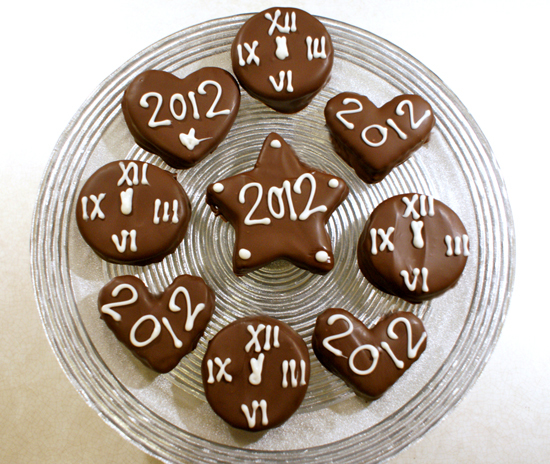 New Year’s Eve…a perfect time to indulge and eat these rich cookies filled with a peppermint buttercream frosting…dipped in chocolate. They are as good as they sound. Better, in fact. 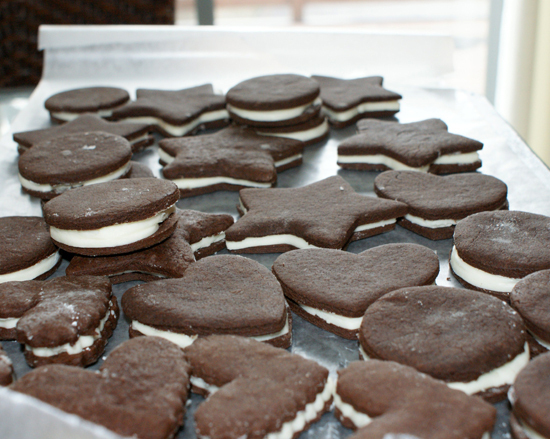 I’ve used this recipe on several occasions, and just altered the shapes of my cookies. I even had a stranger tell me she would buy my flowers and dinner – just for sharing this recipe with her. True story. These are a fairly rich cookie, so if you’re not into that I’ll eat whatever you do not. Just don’t snack on the cocoa cookie batter, it’s….well, bitter… and will make you doubt how good these cookies are once finished. I speak (or type) from experience. 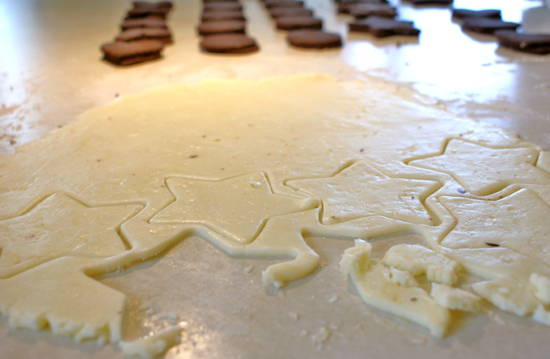 Roll the cocoa batter out, just like sugar cookies. Only better. Bake these for 4-7 minutes. Then make into little sandwiches! 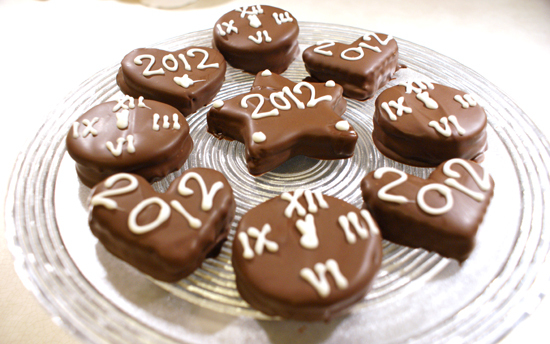 Now, the cocoa cookie is NOT too sweet at all on it’s own…that’s why dipping these in the chocolate coating is a must. A must I tell ‘ya. Apparently I goofed and thought it was still going to be 2012. Or maybe I made these last year and didn’t get them posted in time. I’ll let you decide. Melt Chocolate Candiquik in tray, according to the package directions. To dip cookies, lower into melted Candiquik on a fork and spoon Candiquik over the cookie until fully covered. 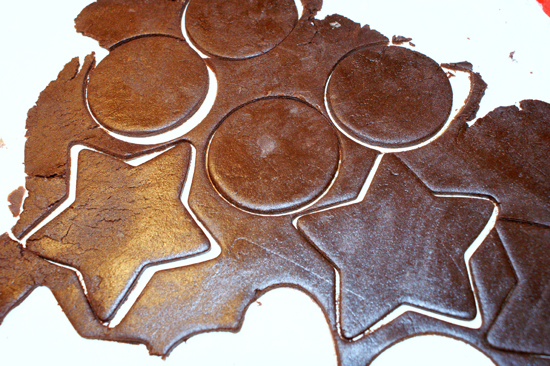 Place on wax or parchment paper to dry. I lovet these! Super creative, and yummy!! !